I have never been a big fan of tofu, but I have found a new way to cook it that I really like. I have started baking the tofu for at least 45 minutes at 325 after it has been marinated. This gives the tofu a firm texture and really helps it take on the flavor of the marinade. I love the combination of the cilantro and lime in this dish. 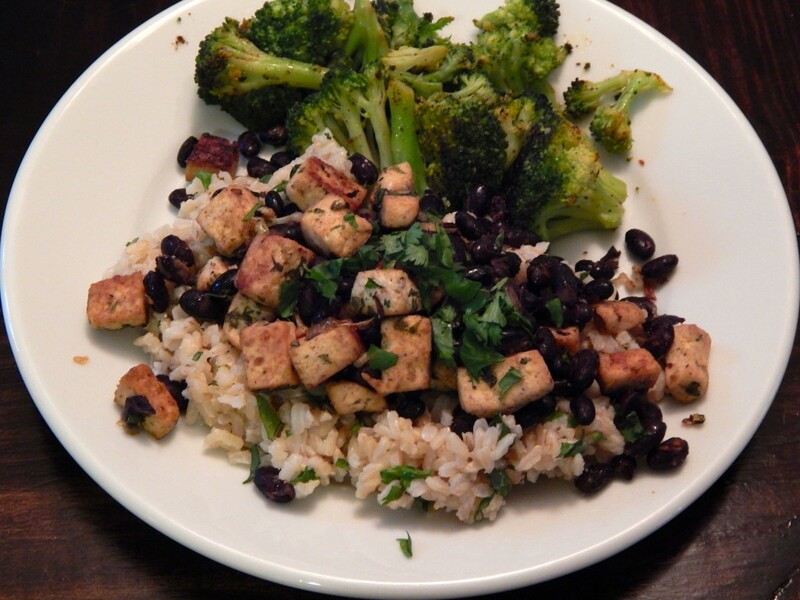 I served the tofu with black beans, but it would be great on its own as well. This version of taco pasta was inspired by Pinterest. I love looking at all the pictures of food and I think I may be slightly addicted. I have been finding lots of recipes to try to veganize. We were getting into a little bit of a food rut, so I really wanted to try to veganize some of the recipes that I have seen. The kids will generally eat anything that has pasta in it and they love tacos, so I figured this would be good to start with. We all loved it! The sauce turned out super creamy with all the great taco flavors. 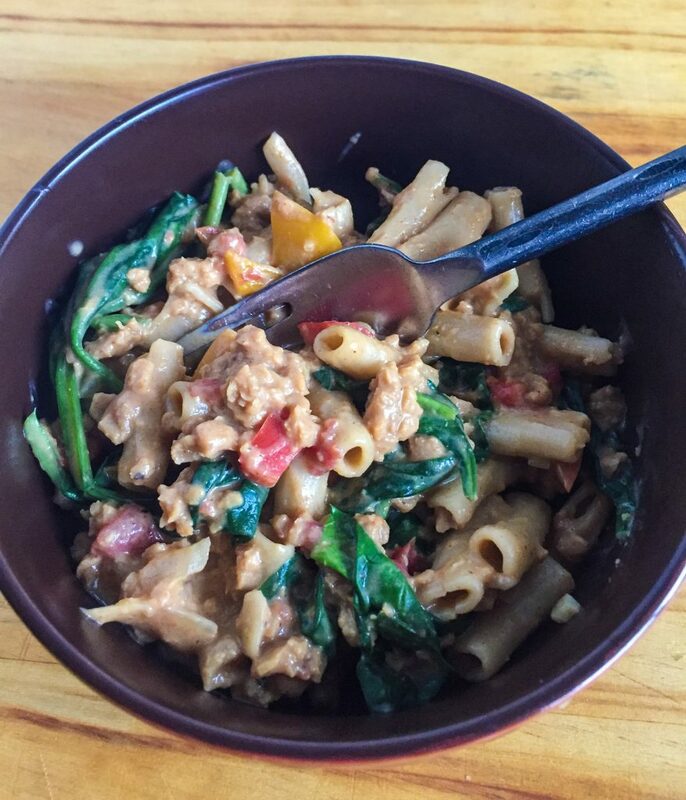 Taco pasta will definitely be going into the dinner rotation on a regular basis.